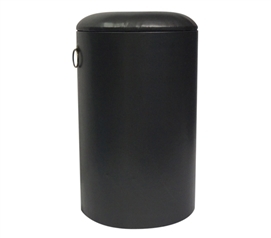 For some unique dorm furniture items, check out our Ottoman and Storage Seating. These dorm room seating supplies will provide needed dorm room seating for college dorms, and can also help your dorm organization. Provide extra dorm chairs for you and your friends to relax in and also provide plenty of hidden dorm room storage! 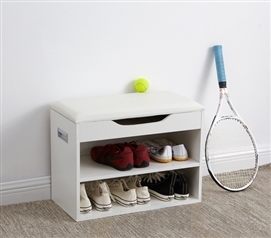 Our Dorm Benches and Ottomans are great for storing sports equipment in. Simply lift up the lid of your soft dorm seating and you will find plenty of dorm room storage for those dorm essentials you don't have a designated place for! The best dorm items have to be practical. When it comes to dorm room seating, there just won't be very much of it! 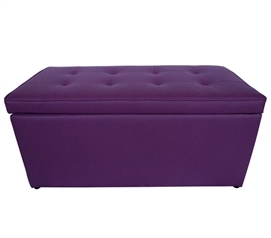 So instead of having only the cold dorm room floor to sit on, bring some cool college furniture and dorm items to your living space with our Ottoman & Storage Seating. These dorm seating college supplies are especially useful, as they also act as dorm room storage items, too. These ottomans and dorm chairs can open up and be used to store extra college stuff, dorm essentials, and more. Get the most out of your dorm furniture for college!